Lock in a great price for Hotel S'Ardeviu – rated 9.5 by recent guests! Beautiful house and a beautiful property. Small but nice breakfast available in the courtyard in the morning. The property is on a quiet street but is just a few feet from the main square. Really easy to get to the train station/taxi drop off. A perfect stay in Soller thanks to the suggestions and assistance of the owner/operators of this picture perfect historic style small hotel. Because it is small and so highly rated a lot of travelers will not know what they missed because it is sold out most of the time. Congratulations are in order for such a fantastic place. The owners were very friendly and helpful. 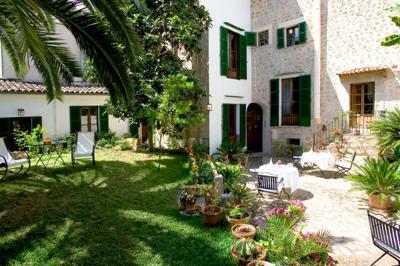 The hotel was in a lovely old building right in the center of Soller. Breakfast was a relaxed afffair with freshly squeezed orange juice, a selection of cold meats, cheese, fruit and bread. There was a lovely courtyard garden to sit and relax in if the weather was right. Tea and coffee facilities were available at all times. The hosts speak several languages and are friendly and kind. Service is excellent - nothing is too much trouble. 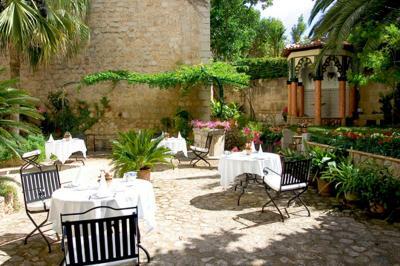 We loved the location of this beautiful little hotel, tucked away behind the main square in Soller. we loved the huge and comfortable bed, the great spacious bedroom with a wonderful high ceiling. It's so delightful to have your breakfast outside in the little courtyard. The family who run the hotel are incredibly sweet and very genuine, absolutely nothing is too much trouble for them. 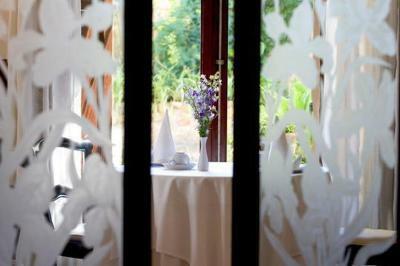 Beautiful hotel, with a secret beautiful garden, away from the busy town. Beautiful garden to have breakfast, and to sit in during the hot afternoons. Such a treasure of a hotel. Lovely helpful hosts also. Delightful! Hotel S'Ardeviu This rating is a reflection of how the property compares to the industry standard when it comes to price, facilities and services available. It's based on a self-evaluation by the property. Use this rating to help choose your stay! 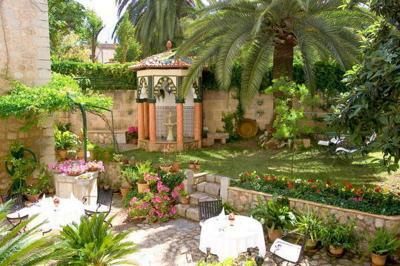 Set in a 13th-century building in the historic center of Sóller, Hotel S'Ardeviu has a charming garden with a fountain. 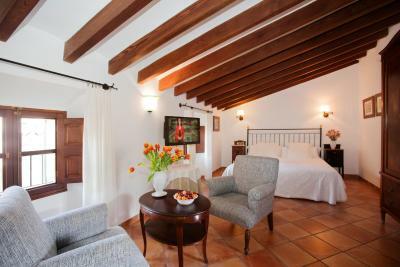 Its air-conditioned rooms offer views of the garden, town or surrounding mountains. 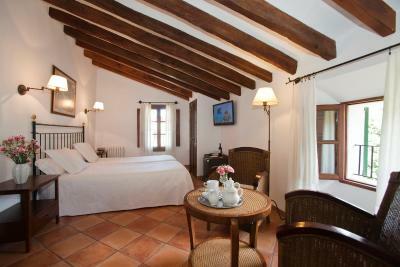 Rooms at the S’Ardeviu are decorated in a classic style with elegant wooden furniture. Each room features free Wi-Fi, flat-screen satellite TV, a mini-bar and a safe. Bathrooms include a hairdryer. You can enjoy drinks outside on the peaceful garden terrace. 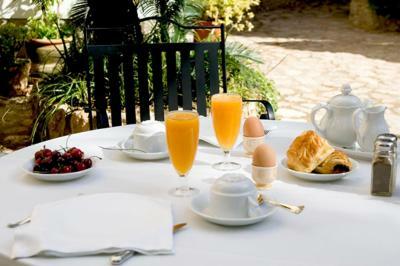 The varied daily breakfast includes fresh seasonal fruit and local produce. 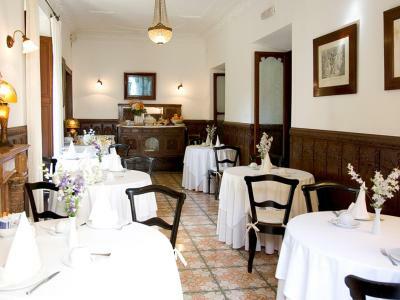 The S’Ardeviu is located a 5-minute walk from Sóller’s central Plaza Mayor Square, lined with cafés and restaurants. The tram stop to Sóller Port is also just a 5-minute walk away. 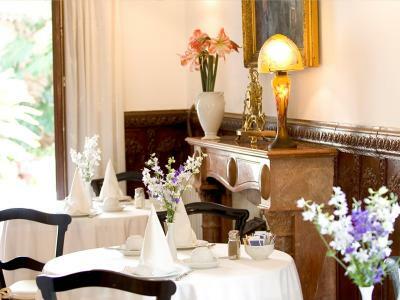 This air-conditioned room is decorated in a classic style with elegant wooden furniture. It features free Wi-Fi, flat-screen satellite TV, a mini-bar and a safe, while the bathroom includes a hairdryer. Some rooms have a balcony, and all rooms offer views of the garden, town or surrounding mountains. This twin room has a tile/marble floor, air conditioning and mini-bar. House Rules Hotel S'Ardeviu takes special requests – add in the next step! Hotel S&#39;Ardeviu accepts these cards and reserves the right to temporarily hold an amount prior to arrival. Hotel S'Ardeviu accepts these cards and reserves the right to temporarily hold an amount prior to arrival. Nothing! Stairs to upper floors could be a bit steep for some people. 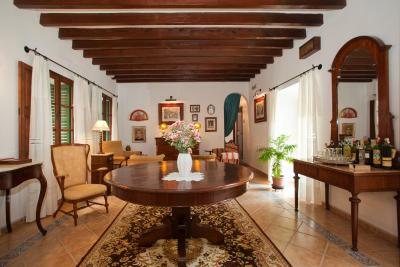 Beautiful Spanish townhouse which has been restored really well. Rooms are spacious and comfortable. The outside garden is a lovely space to relax. The hotel is ideally located just off the main square so perfect for finding things. The owners Isabel and Xisco were so helpful and friendly, nothing was too much trouble. The bedding - we had sheets and blankets rather than a duvet and these were tucked around 2 single beds put together to make a double. It was a little noisy at night because were were right in the middle of town. The hotel is perfectly situated,1 minute away from the main square. We received a warm and informative welcome. The rooms are immaculately clean, comfortable beds and all usual facilities. Breakfast was very good indeed, with a wide selection of foods. We were very impressed with the free coffee and tea facility and the pretty garden. 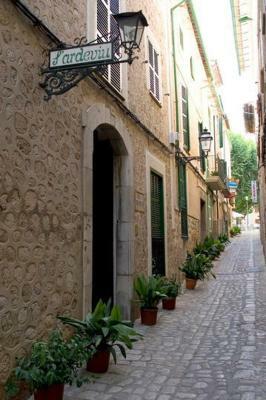 Soller is a lovely town, an excellent base for walkers and serious cyclists. We shall be back and would definitely say in the S'Ardevieu again. Everything. Can't praise the hotel enough, the couple running the hotel were so lovely, charming and caring, the rooms were great. 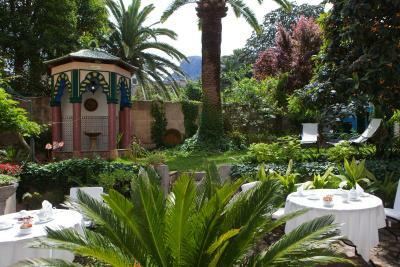 Especially love the garden and the fabulous breakfast and the coffee and the awesome orange juice. The more you talk about it, the more you realise, how incredible the stay was, and how awesome this little tastefully designed hotel is. Fantastic hotel full of charm and with such lovely owners. 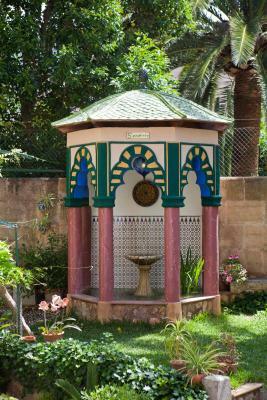 In a quiet street near the main square, it has a beautiful courtyard garden. Everything! Beautiful place, perfectly located. We loved it... 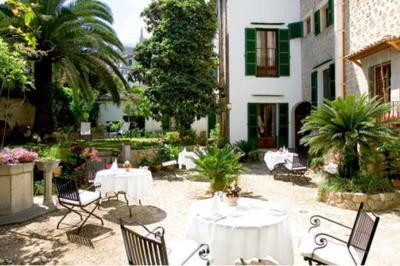 When you are in Soller do yourself a favour and stay in this hotel!! A place to trully relax! Great location. Lovely staff. Beautiful room.